States have made big commitments in their plans for complying with the federal Every Student Succeeds Act to use data effectively to achieve their education goals — a major recognition of data as a powerful tool when it’s working for students. The Data Quality Campaign has dug into every state’s ESSA plan and found that while approaches to student success vary, the commitment to data use is clear. ● 49 states committed to providing training and other supports to schools and districts in data analysis and use, to inform improvement. ● 38 states committed to investing in data-based tools or developing monitoring processes that explicitly examine school data to support and continuously improve implementation. ● 15 states committed to collecting data to continuously update the evidence backing school interventions. ● 40 states committed to updating their long-term goals based on data. ● 36 states committed to improving data quality. ● 28 states committed to increasing the capacity of their state education agency to support accountability and school improvement. ● 32 states committed to including measures beyond what is reported in their accountability system on state report cards, to provide a more complete picture of school and student performance. ● 32 states committed to ongoing stakeholder engagement on implementation and outcomes. These three themes are important, but they don’t capture all the many ways states are — or could be — making data work for students under ESSA and beyond. Teachers, families, and leaders are best able to serve students when they have quality, timely information that answers their questions and informs action. 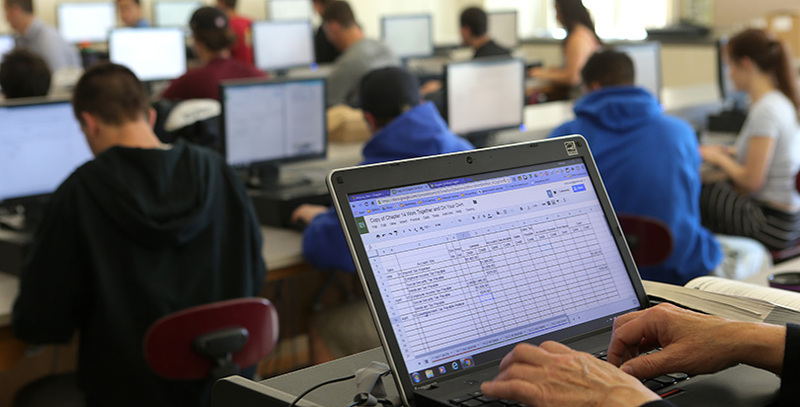 States will need to continue to focus on policies and practices that make sure those closest to students have the data they need and the time and skills to use it. Brennan McMahon Parton is director of policy and advocacy at the Data Quality Campaign, a nonprofit policy and advocacy organization leading the effort to ensure that educators, families, and policymakers are empowered with quality information to make decisions that ensure students excel.